Welcome to Mission EMS Training. We are Riverside County’s premier training facility for health care providers, first responders, firefighters and rescue personnel. We specialize in American Heart Association courses such as BLS, ACLS, PALS, First Aid and Heartsaver for our health care providers. Our Fire Training courses are designed to provide fire service personnel with the knowledge, skills, and certifications in All Risk Command, Management, Investigation and Prevention, NWCG, FSTEP and CFSTES. Our instructors are friendly, and are highly trained professionals with an extensive clinical and fire service backgrounds. Our classes are presented in a stress-free environment using lecture, power point, and video presentation format as well as hands-on skills practice that target all learning types. 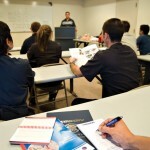 Our classes are not limited to health care providers and fire service personnel. We provide a wide range of classes to the public such as: First Aid, CPR and AED training. We cater our courses to meet your needs. By using Mission EMS Training, your organization or company will be well prepared during an emergency as well as saving you time and money. Register now and reserve your class. Mission EMS Training has a wide array of exciting and informative courses and events happening year round. 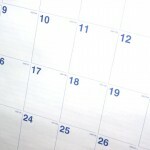 Visit our complete on-line calendar to schedule and register for you next event or course.